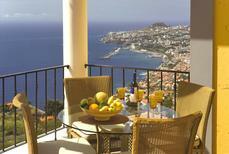 Madeira | The Portuguese island of Madeira is situated secluded and sleepy in the middle of the Atlantic. 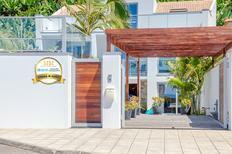 Enjoy with these holiday homes an undisturbed view of the blue shimmering ocean that surrounds the island. 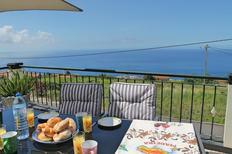 A holiday house on Madeira costs on average USD 814 in the cheap travel period and USD 1,124 in the peak season per week. These details are of course in relation to the house and not per person as well as includes the obligatory additional charges. 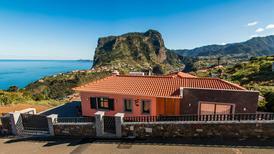 Discover Madeira holiday homes to see the best sights on this beautiful Portuguese island. Set in the middle of the Atlantic, with a distinctly European feel amid its special charm, the ‘Garden Island’ offers plenty of nature and coastline to enjoy. Lounge at the beach or your own pool, or go golfing and uncover the history and culture that makes Madeira such a popular holiday destination. The capital, Funchal, promises urban exploring, while the more remote areas let you see breathtaking nature, try some thrilling water sports or discover charming old fishing villages. As you explore this lush, green Portuguese island, you'll appreciate why so many nature lovers flock to Madeira. The ambience in its towns, such as pretty Funchal or the chic, hilly settlement of Santa Cruz, will show you a very different kind of European destination. Funchal gets its name from funcho, the Portuguese word for fennel, and its leafy surroundings make it a pretty spot for walking and photography. 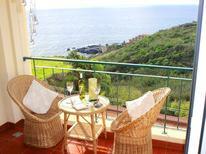 Hiking in the eastern part of the island or hitting the beach near Funchal are excellent ways to spend your time here. 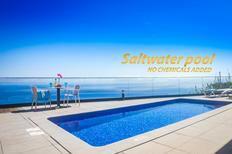 Alternatively, just stay at home and soak up the island sun at your private patio or pool. 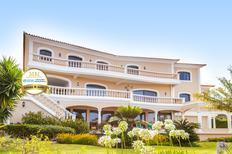 The great thing about Madeira holiday apartments and villas is that you can tailor your holiday to suit your specific needs. Whether you want to bring a huge group of friends, give all your kids and relatives plenty of space, or bring your dog along on the trip, there's an ideal home to discover on Madeira. The privacy of having your own outdoor space, whether that be a pool, garden or both, means you can wake up every morning to water and sunshine a few metres from your bed. Staying at a real Madeiran home on holiday is particularly satisfying, and will allow you to appreciate the less-travelled side of this fascinating place. This peaceful yet vibrant island, with all the flair of Portugal in a gorgeous island setting, is a superb destination for many types of holidays. Families will appreciate being near the beach, hiking through the coastal Ponta de São Lourenço region or hitting the water on a kayak. Friends will love days spent swimming at the pool or beach before checking out cosy neighbourhood bars and drinking Portuguese beers such as Sagres and Super Bock. Madeira is a superb spot for romantic trips, too – rent a Madeira holiday apartment by the sea for inspiring views and access to plenty of amazing Portuguese seafood restaurants. It won't come as a surprise to learn that fish and seafood are king in Madeira, with tuna steak, octopus and swordfish being some tasty local examples. Picadinho, another popular local dish, is a beef stew surrounded by a generous ring of fries – extremely satisfying after a long day spent walking around the coast and seeing the sights in town. Simple yet satisfying, sopa de trigo (wheat soup), made with pork and vegetables, is a nice and light option for hot summer evenings. Of course, when you're renting your own Madeira holiday home, you can always head to the market or supermarket and make something for yourself at the house as well. 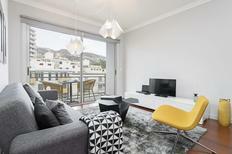 There's plenty to choose from when it comes to booking your home-away-from-home on the island. 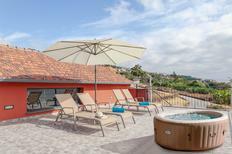 Opt for an apartment with a balcony that opens out to panoramic views of the sea and surrounding mountains, or a large family villa built in traditional Portuguese style, with attractive wall tiles and a red roof. If you'd rather move further inland, away from the bigger towns, there are homes that almost feel like they're in the middle of a jungle, surrounded by tropical plants and without another home in sight. You can then stroll into the local village wherever you are and get to know the friendly locals as you shop for food and gifts at the markets. 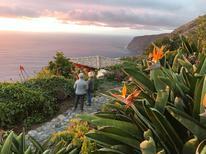 There are several distinct areas to select from when you stay in Madeira. In Funchal and the surrounding area, you'll find a great mix of beaches and historic sights, including the São Lourenço Palace and Santa Clara Convent, as well as paragliding and scuba diving opportunities. The east coast of Madeira is a paradise for nature lovers, with panoramic views of volcanic landscapes rewarding adventurous travellers. The eastern tip of the island, also remote, is perfect for an escape from civilisation but still close to villages for shopping and eating fantastic local food. The south coast of Madeira is superb for beach lovers who appreciate something off the beaten track, distanced from the island's capital. In about four hours from London, you can reach Cristiano Ronaldo Madeira International Airport (its namesake, the world-famous football player, was born on the island). 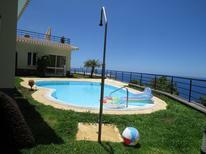 The airport is located on the east coast and is just a 20-minute taxi ride to Funchal. There's also a bus that runs to Funchal that takes just over half an hour. The second airport Ponta Delgada is in the north of the island – ideal if you'd like to get straight to the rural parts of Madeira. The great news is that the weather is pleasant all year on the island, so there's really no bad time to visit. If fun in the water, be it at the pool or the beach, is your thing, you'll find temperatures in the mid-20s between May and September, with very little rainfall. Even in winter, the weather is pleasant enough for exploring the sights and getting to know the unique culture of this special island, with temperatures averaging between 15°C and 20°C.